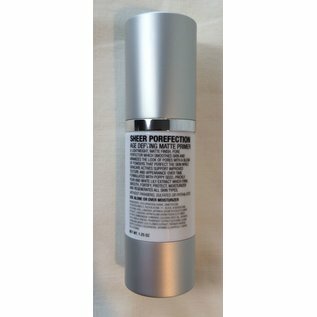 Sheer Porefection Age Defying Matte Primer - Carol Thompson Images, Inc.
• A lightweight, matte finish, pore perfector which smoothes skin and minimizes the look of pores with a blend of powders that perfect the skin while skincare actives support improved texture and appearance over time. Perfect primer under makeup. • Formulated with Poppy Seed, Prickly Pear and Lily Extract, combined with a unique blend of powder, it leaves skin looking smooth, even, and poreless while feeling natural and fresh.